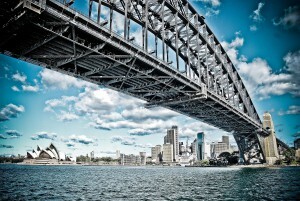 The population of New South Wales will grow by 1.927 million people in twenty years, according to demographers id.com.au, making a state of 9.644 million people by 2036. 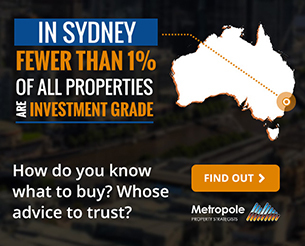 As someone interested in property it’s important to understand the big picture demographic trends. 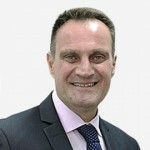 And it’s even more important to understand these trends at a more localised level, because big picture demographic trends often play out in different ways across different local areas. Of course of strong population growth in particular location doesn’t necessarily mean it’s a good place to invest. That’s why at Metropole we research the local factors that are influencing local economic growth, population growth and supply and demand. The population of NSW will reach 9.644 million by 2036, with an additional 1.927 million people expected to become residents of the state. 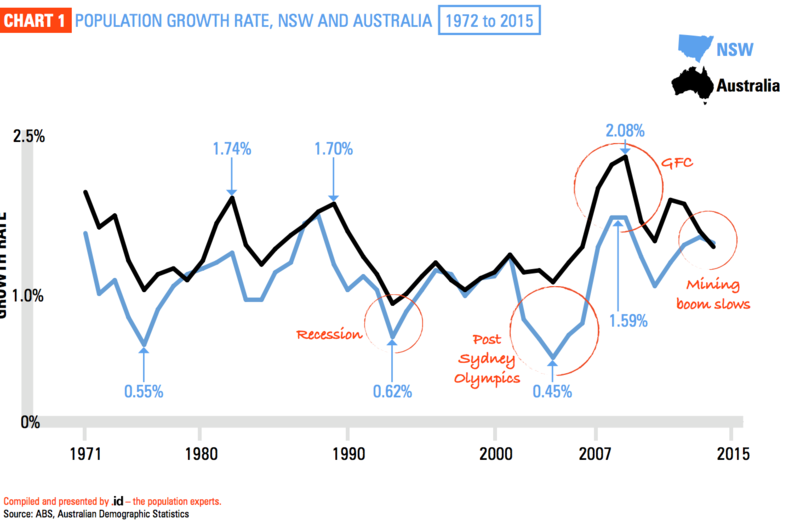 The current rate of population growth is at an historical high, with NSW growing at a faster rate than Queensland and Western Australia. As the other states pick up, this trend is not expected to last, although the average annual growth rate for NSW is still anticipated to exceed 1.1% per annum for the period to 2036. 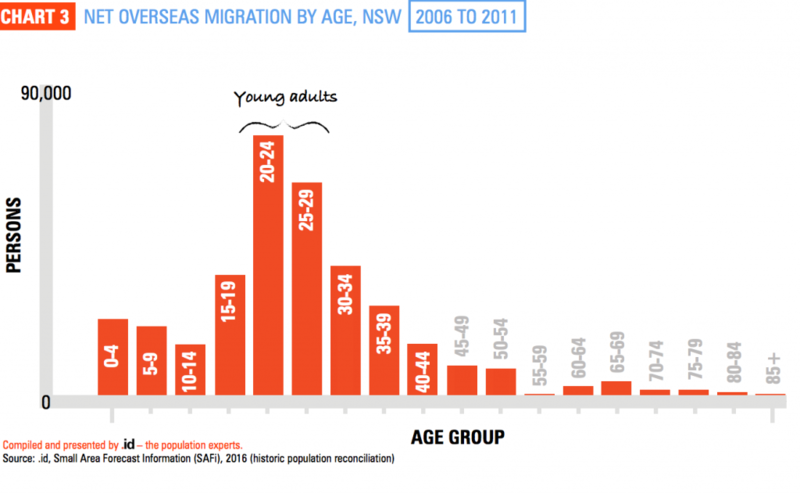 The boost in overseas migration to NSW in recent years has bolstered the younger end of the state’s population, with new migrants largely comprised of young adults seeking a new start in life, as shown below. 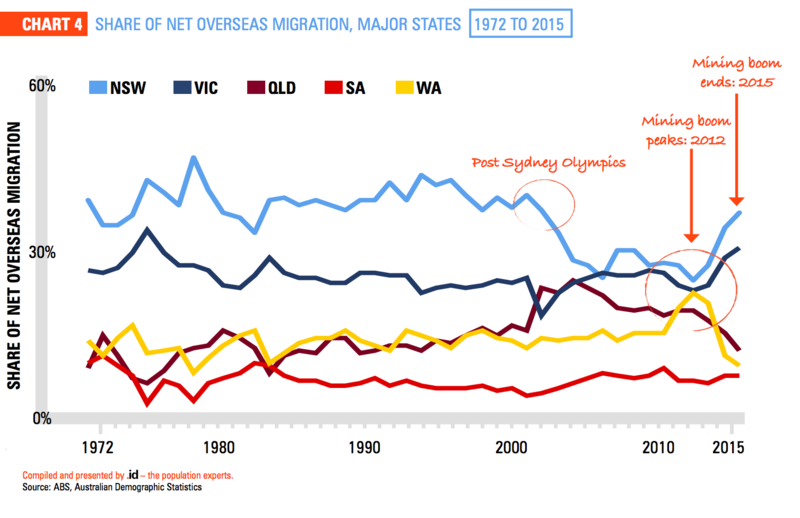 In the last few years, the share of overseas migration to NSW has returned to higher levels. The attractiveness of Western Australia and Queensland has declined while the investment environment in Sydney has improved markedly. Residential construction has been booming over the last couple of years as the state, and Sydney is overcoming a long-running under supply of housing. How are you going to benefit from this?